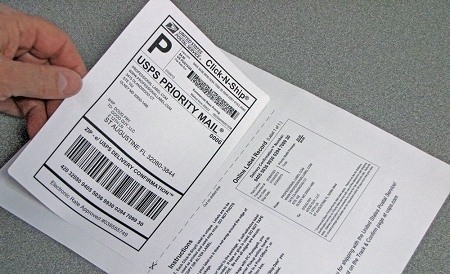 Combo Shipping / Mailing Labels for use with the USPS (United States Postal Service) Click-N-Ship ® web based postage system for Inkjet or Laser Printers. 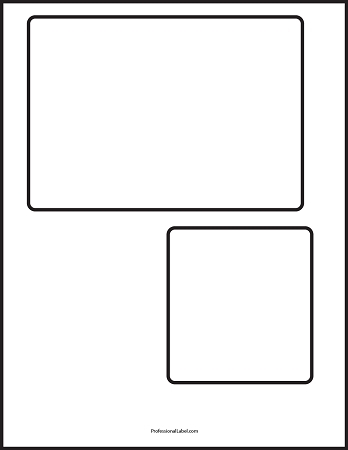 These 8 1/2" x 11" label sheets have two labels per sheet (The shipping label is 6 3/4" x 4 3/4" and the receipt label is 3 1/2' x 3 3/4"). 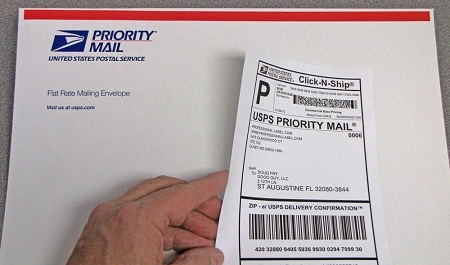 They let you print shipping labels with or without postage from the USPS web site which prints the shipping label and postage on a label and a shipping receipt on the other label. Both are on adhesive label stock, just apply the receipt to the back of your paperwork! They are matte white with permanent adhesive and will work with both inkjet and laser printers. 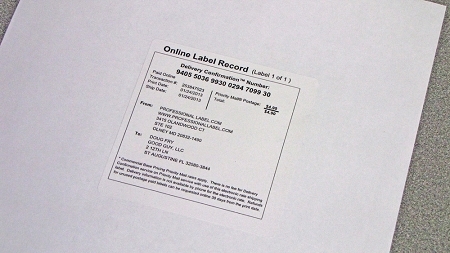 These labels can be used for domestic shipping that is addressed for delivery to a USA address. "USPS® Click-N-Ship® for Business is free desktop software for any business that regularly ships with the United States Postal Service®. It combines labels and package management operations all in one convenient tool. 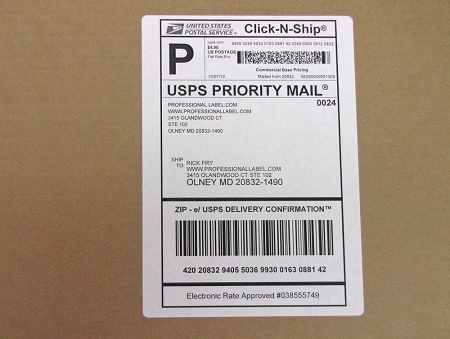 Click-N-Ship for Business features many useful tools for business shippers. Create barcoded labels for a variety of domestic and international shipping services, and print customs forms for certain foreign shipments right from the application. Plus, you get seamless integration with digital postal meters, a robust address book with search functionality, and easy data importing from eBay® or other external accounts. 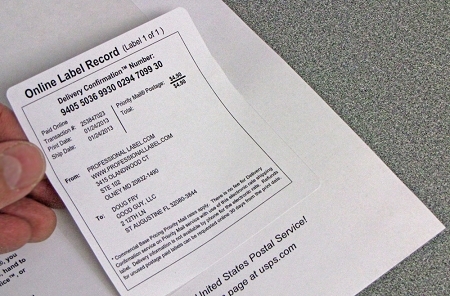 Not to mention quick access to USPS.com® price comparisons, delivery time estimates, and address verification tools. Whatever you need, Click-N-Ship for Business offers the solutions to keep you on top of your shipping." Although these sheets are formatted for use with the Click N Ship system you can also use them with this EasyFast template if you just want to print text on them.